I’ve searched for them in my local nurseries to no avail. They can only offer me water lilies, beautiful enough to inspire many of Monet’s canvases, to be sure; but they are not lotuses, not Nelumbo nucifera Gaertn. In evolutionary terms they aren’t even remotely close, the degree of kinship between water lilies (fam. Nymphaceae) and lotuses (fam. Nelumbonaceae) being more or less akin to that between dolphins and codfish. Why are some water lilies referred to as lotuses, then? This is a mistake that happens quite often (indeed most* ‘Egyptian lotuses’, ‘blue lotuses’, and ‘white lotuses’ are examples of this mixup). The problem lies in our tendency towards giving similar names to things that appear similar to the folk-botanist that lives in us. *Most, but not all; the sacred lotus did grow in Egypt in classical times, and there are white-petaled lotus varieties. However, when it comes to Egypt the term “lotus” is commonly misapplied to Nymphaea lotus (white flowered) and N. nouchali var. caerulea (blue flowered). No blue true lotuses exist. At all. Does it live in water? Check. Rounded leaves? Check. Showy flowers with many petals and a golden centre? Check again? Wonderful! Let’s dump them into the same lexical bag. The unbridgeable chasms dividing the two families, though, have been piling up during the last decades; molecules gave us the latest surprise, revealing that lotuses are sisters to plane trees (fam. Platanaceae) and proteas (fam. Proteaceae). Yet there is another chasm that has always set lotuses apart from water lilies; a 2 metre high one, to be more precise. Because water lilies, no matter how big* their leaves, remain close to water. During summer, their (usually) round clefted pads will rise from the depths and come to rest on the surface. *and they can be very big indeed, as in the impressive Victoria amazonica’s huge pads. This may not appear obvious at the outset. But as springtime arrives and the first leaves peep above the water, you’ll see them slowly unfurl into near-perfect roundness. A pale, bisected navel marks the spot where the stalk (actually, a long petiole) connects the green lamina with the rhizomes that sprawl over the pond’s muddy bottom. More leaves emerge then, like spears thrusting into the air with their halves carefully rolled inwards… and that’s the end of similarities between lotuses and water lilies. Because lotuses grow into forests. Not in the conventional, tree-like sense of the word, of course; Nelumbos are, after all, amphibious plants. And yet I call them forests, because they actually provide shade: with leaves that are over 80 cm (c. 31 in) wide, how could they not? They’re bigger than the umbrellas I had when I was a child. Whereas water lilies stay obediently close to water, lotuses pierce the surface and rise up and up, they climb up in the air with their huge round leaves perched atop their stalks like tottering plates on the stick of a juggler. Rather deep plates, at that: shaped like a funnel with wide, soft slopes and undulating edges. Seen from above, they look like green circles drawn by a slightly wavering hand; seen from the side, a narrow-based bowl with a wide ruffled lip. The tallest of these lotus jungles may rise over two meters above the pond’s surface; this means that, if we could walk on water, these nelumbiferous forests would completely engulf us. If you were to cut a leaf stalk and carefully bored a hole into its navel, a secret passage would open, and you’d be able to pour water into the leafy ‘bowl’, draw the petiole close to your mouth, and then drink the liquid as it trickled down the stalk (the plant version of a (big) straw with a wide funnel attached on top). Even though it may sound like nothing but a fanciful amusement, in Japan rumour has it that by filling a mature lotus leaf with wine and sipping it through the stalk* one may absorb the lotus’ “life-giving juices” (and similar tales come from both China and ancient India!). If you feel up to trying it, do let me know how that goes. *Conveniently cut at a length of 30 to 45 cms (12 to 18 in). The leaf does not get wet. The rivulets appear to glide without actually touching the green surface, streams shattering into drops that scatter like pearls across the lamina. Whereas water lily pads are merciless surfaces against which raindrops smash and collapse into wet sheens of water, on lotus leaves raindrops remain whole: a sprinkling of transparent tiny marbles rolling across the surface until they evaporate or slide back into the pond. Science has a name for this: superhydrophobicity. Alas, not the most poetic of words, I know. However, the phenomenon goes by another name that some of you might’ve heard before: the lotus effect. In order to understand how it works, we’d have to inspect the leaf’s (micro-nano)structure through a pretty potent microscope. First interesting observation: the surface is covered with a layer of wax —and waxes, as you may recall, are water’s sworn enemies. But if we look at what’s hiding underneath this waxy carpet, we’ll notice that the leaf’s structure looks rather funny: it’s warty (technically, the warts are called papillae). The papillae’s size and density, together with their waxy covering, ensure that our nelumbiferous leaves remain unscathed and dry under the heaviest of downpours. 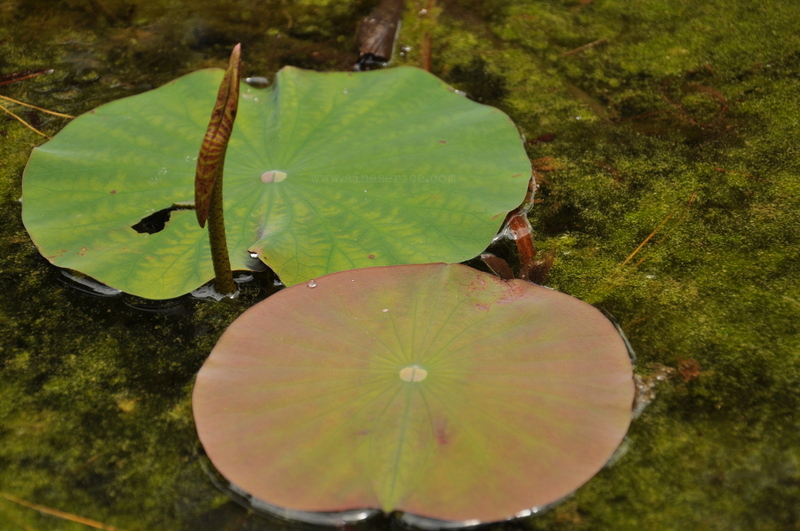 Why might a lotus leaf want to avoid getting wet? As it turns out, there is one huge benefit to the Lotus Effect: impressive self-cleaning abilities. As water drops roll across the leaf, they collect dirt particles on the surface, wiping it clean. Among the hypotheses that try to explain why this should be an evolutionary advantage for lotuses, the most accepted one suggests that good leaf hygiene would imply better health (less danger of bacterial/fungal growth, less stomata*-related trouble…). *the tiny openings on the surface that allow gas exchange, temperature regulation, etc. It appears that microbes that cause trouble for plant leaves require a certain degree of moistness in order to germinate… and this is exactly what the lotuses’superhydrophobicity manages to avoid. If self-cleaning sounds like a property you’d dearly love to smear onto your entire house, you are not alone. Indeed, the Lotus Effect is one of biomimetics’ most famous plant-inspired examples illustrating how nature can help us design better solutions to modern problems. However, I strongly believe that superhydrophobicity was relevant long before our scientists coined a sophisticated term to talk about it, described how and why it works, or came up with fancy technologies capable of recreating it artificially. Lotus leaves have served us well during the last millennia, aiding us in many ways; we’ve used them as umbrellas, as vessels to carry water, or as food-wrapping material, just to mention but a few. Yet a plant’s cultural importance is not dictated by its material usefulness alone. Far from being mere utilitarian resources from which we may obtain certain benefits, I am convinced that plants are, along with the rest of the natural world, resources for the mind. Each of them is a unique springboard off which our minds may jump into many directions. By this I mean that they give shape to our thinking in countless ways, both metaphorical and pragmatic. They are the visible half of a metaphor forever waiting to happen, waiting for us to find some interesting meaning we may connect to them… just as we’ve done for centuries with the sacred lotus. Long before we gave syperhydrophobicity a fancy name, several Eastern religious traditions had seen in this trait an inspiring metaphor by which to live one’s life. Lotus is the plant that epitomises the radiant purity of the believer who rises above the dirty, muddy waters of life and soars unblemished towards the light. Superhydrophobicity was, and remains to this day, “supercorruptionphobicity*”. *Ehm, yes: I have a thing for inventing implausible words. Take a plant that grows in mud and water, yet shows such a remarkable trait; add a strikingly beautiful flower on top: and there we have a perfect candidate, ready to conquer the metaphoric arena of any culture it encounters. If our metaphoric capacity is one of our mind’s “essential and rather unique” qualities, shouldn’t we acknowledge this role of plants as ‘resources for our metaphoric minds’? we are losing springboards towards new ideas —scientific, artistic, technological, etc.—, perhaps even brilliant ones, that we’ll never be able to think in quite the same way. And our imagination —and our culture(s)— shall be poorer for it. Although lotuses may be the flashiest and most striking plants that show superhydrophobicity, they are not alone in the plant kingdom. Other plants, such as taro, nasturtiums, or even cabbage leaves, display similar traits. However, none of them pack the same metaphorical punch as Nelumbo nucifera, so… no Cabbage Effect for you, dear Brassica. I’m sorry. Kintaert, T. ‘On the Cultural Significance of the Leaf of the Indian Lotus: Introduction and Uses’, en Eli Franco & Monika Zin (eds. ), From Turfan to Ajanta. Festschrift for Dieter Schlingloff on the Occasion of his Eightieth Birthday. Lumbini: Lumbini International Research Institute 2010, 481-512. It is freely available for you to check and even download (only for members… but membership is free, anyway) on the author’s Academia.edu page. Barthlott, W. y Neinhuis, C. 1997. Purity of the sacred lotus, or escape from contamination in biological surfaces. Planta 202: 1–8. They have a website with ooooodles of resources, among which many pictures, at http://www.lotus-salvinia.de/ (Salvinia is another plant genus with superhydrophobic properties… next time, perhaps?).  It would seem that, when I fall in love at first sight with a plant, I write an article about it; other biologists write entire books about it. This is exactly what Mark Griffiths did in his book The Lotus Quest: In Search of the Sacred Flower (Vintage Books, 2010). It’s beautifully written, packed with fascinating information about the cultural and biological history of the sacred lotus (although I find some of his statements aren’t altogether convincing and may reflect a slight tendency towards seeing lotuses everywhere). There’s a lovely article focused on the cosmic aspect of lotuses that appeared on The Planthunter a few months ago, with gorgeous pictures; if you haven’t checked it out, do yourself a favour and do so! The picture with the microscopic structure of lotus flowers comes from yourformula.eu; the picture with the self-cleaning surface belongs to © W. Barthlott, and it comes from the aforementioned website lotus-salvinia.de. All other pictures are from Yours Truly. If you need to use them as they are, feel free to do so; I’d only love for you to drop me a line and let me know about it! Previous postHumanising trees: how much is too much? Hi Peter, and thank you for reading!